In the second of this two-part review we look at Red Room Audio’s new Palette series of sample libraries and the three add-ons fittingly named Brush Packs. …we looked at the core library, the Symphonic Sketchpad, along with the interface and controls. If you haven’t read it yet, it’s a very good place to start. 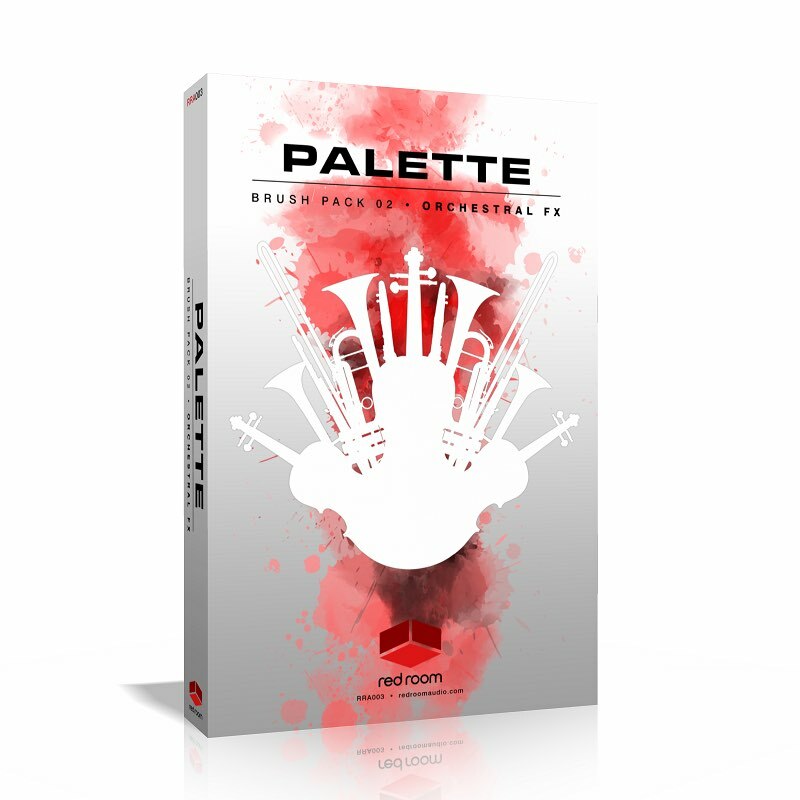 Red Room Audio’s Palette Brush Packs – what are they? 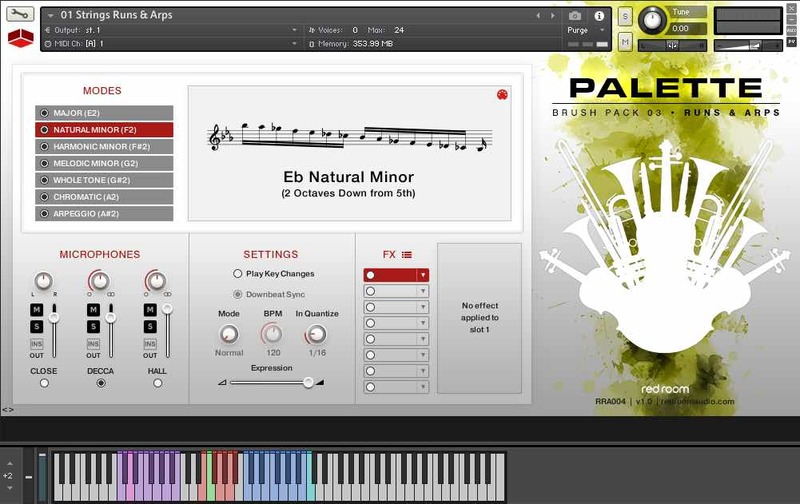 Red Room Audio’s Symphonic Sketchpad contains a core set of 16 orchestral ensemble instruments designed as a one-stop-shop for media and film composers. 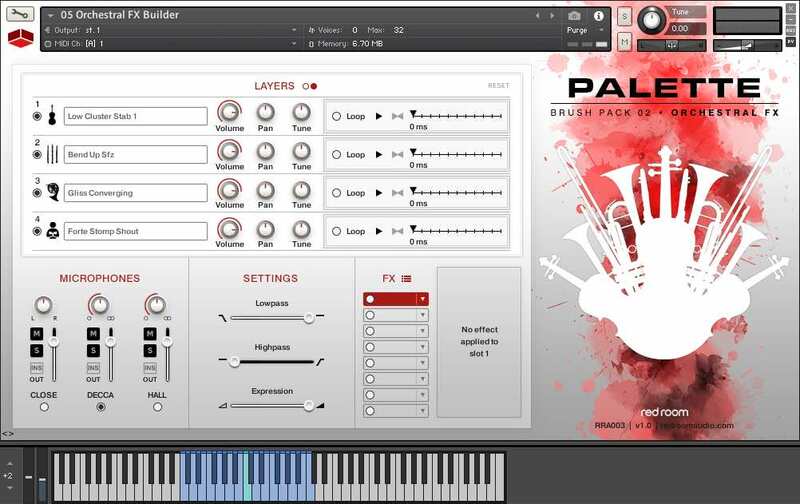 The company has produced three, so far, add-on Brush Packs containing additional sounds and effects to complement the Sketchpad. You don’t need Sketchpad to use them but there are advantages to using the packs together. 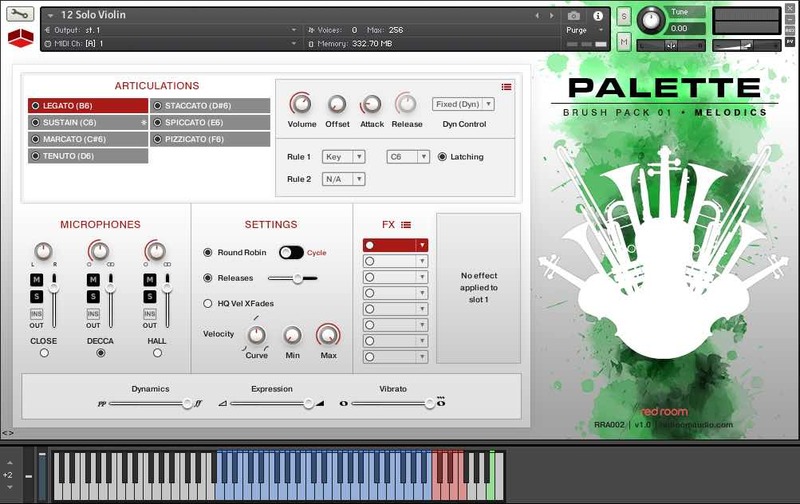 Brush Pack 01 Melodics contains 17 instruments. To select the 17, Red Room analysed some pieces by classical and modern film composers and selected those which had the most evocative melody combinations and instruments. Here’s the list: Violin Octaves, Celli + Basses Octaves, Flutes + Piccolo Octaves, Oboe + Bassoon Octaves, Bass Clarinet + Contrabassoon Octaves, Trumpets + Horns Octaves, Tuba + Trombones Octaves, Horns, Trumpet Octaves, Low Brass + Low Strings Octaves and Horns + Violins Octaves. There are also six solo instruments: Violin, Cello, Flute, Oboe, Trumpet and Horn. While you could arguably make a case for many instrument combinations, these are a good pick. From the deep darkness of the Celli + Basses and Low Brass + Low Strings to the thunderously resonant Bass Clarinet + Contrabassoon to the lightness of the Flutes + Piccolo – wonderful sounds. Of the solo instruments, the Solo Violin, Oboe and Horn are favourites. On the Horn in particular, you can hear the different round robins and on some notes there’s a small pitch bend to the note creating a rasping sound. All the instruments except the Tuba + Trombones have true legato. This is controlled by both the legato and the sustain articulations (should you want to edit the parameters). While these are expressive top-line instruments, many articulations play at a fixed dynamic which seems rather strange (see also the Sustains in the Sketchpad in Part 1 ). You need to play with expression and tremolo controls to get the most out of them. As with the Symphonic Sketchpad, the instruments have three Mic positions and FX rack. 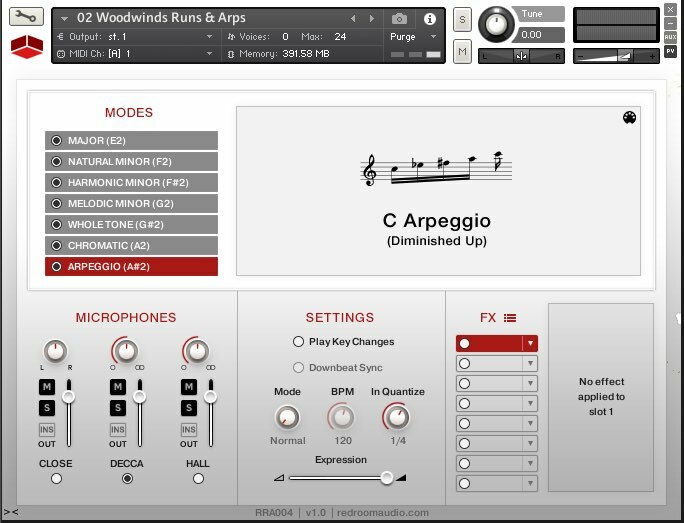 Runs & Arps contains just two instruments – Strings and Woodwinds – which have exactly the same settings. Each run and arpeggio was recorded with two round robins and you can sync their speed to your DAW’s tempo. The Modes panel is where you select the, er, mode. There are six main modes – major, natural minor, harmonic minor, melodic minor, whole tone and chromatic. Unlike Sketchpad and Melodics, clicking on a Mode actually selects it so you don’t have to use a keyswitch. There are three sets of coloured keys on the Kontakt keyboard. The lower blue set selects the key. The next set, red, selects the mode, and the top set, purple plays the runs. The number of runs available varies slightly from mode to mode. A really neat feature is the notation display so you can see exactly which notes are being played. You can also click and drag the MIDI data from the screen into a DAW for further editing or to combine runs. There are some controls specific to this library. If Play Key Changes is selected, clicking on the lower key selection key will trigger the last run played. Downbeat Sync adjusts the speed of the run so the last note lands on the downbeat of the next bar which is useful as that’s usually what you want to happen. As well as matching the host’s tempo, you can set it to double or half speed or disconnect it from the host altogether allowing you to set a manual BPM. Finally, Quantise delays the MIDI input so the run always starts at the beginning of the selected note division. There’s a good variety of runs running (sorry) from a single octave up and down to one and two octaves up and down. There are also runs starting and ending on the 5th. Red Room calls Orchestral FX an aleatoric virtual instrument. It contains over 400 sounds arranged into six categories and spread across four instruments – Strings, Woodwinds, Brass and Choir. The categories are Short, Long, Sting, Texture, Rise and Fall. As in Runs & Arps, you can select a category by clicking on it, as well as using the keyswitches although some categories have more than one keyswitch. You play the effects by pressing the blue keys. You can also select a particular sound from a drop-down menu. The waveform is shown on the screen and has adjustable start and end points. You can loop the sound, play it backwards and change the tuning. With a few exceptions, the four sections contain the same ‘arrangements’ so within each of the four instruments, the same key will trigger the same type of sound within a category. This makes it easy to layer the effects using all four instruments if you wish for a massive sound. There is enormous scope for experimentation here such as panning different instruments to different stereo positions, subtly changing one’s tuning, changing one’s start time, or playing one forwards and another backward. With the Orchestral FX Builder instrument you can layer up to four of the effects. 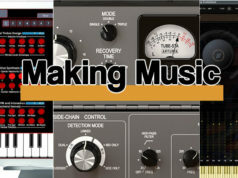 You can mix any of the 400+ samples with any other and set up parameters as you can with the individual effects. As you might imagine, this can produce all sorts of weird and wonderful effects such as playing the same – or different – loops backwards and forwards at the same time. 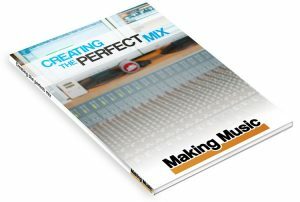 And/or mixing loops of different lengths and making them loop so the sound mixes and changes as it progresses. Experimenting with the Choir can be particularly rewarding as the human voice can take on an eerie and disconcerting quality. 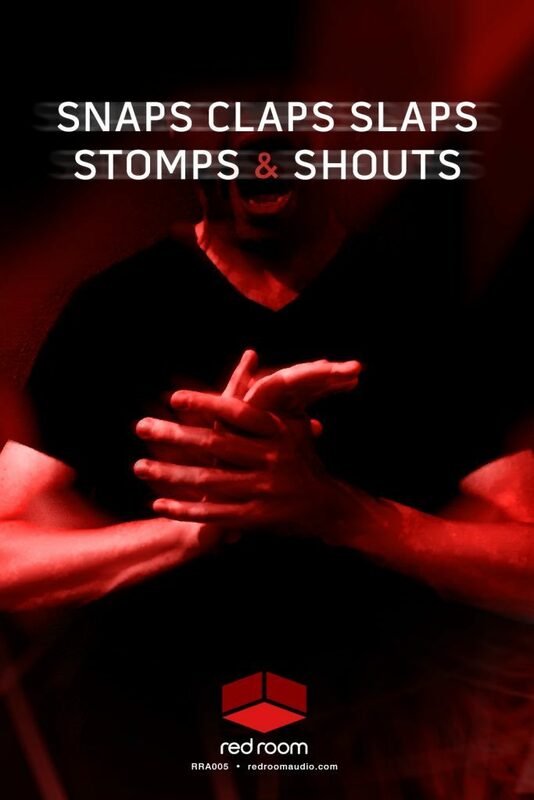 Finally there’s the Snaps Claps Slaps Stomps & Shouts pack which is free when you sign up on the Red Room site so there’s absolutely no reason not to get it although you do need the full version of Kontakt. It contains ‘body’ sounds – snaps, claps, stomps and shouts as it says on the tine -performed by a 24-piece mixed choir. There are 12 shouts including a ‘Hey’ which is reminiscent of the shout in BBC TV’s The Musketeers theme by the amazing Murray Gold (https://www.youtube.com/watch?v=J9xVd_T_xPA). It’s not the ones used in the theme but it shows how useful these can be. These packs were recorded by the same musicians and in the same hall as the Symphonic Sketchpad so they all blend together perfectly. As we noted in the first part, it’s not just the ambience but the sonic quality which ties them all together. It is, literally, the same orchestra playing all the parts so they combine, layer and mix very naturally. Even if you mainly compose with ensembles, you will almost surely need solo instruments and good melodic combinations for melody and top-end lines. Sketchpad plus Melodics is an excellent combination as, yes, I’ve said it before, they fit together so well. The Runs & Arps gives you easy access to music lines which can be difficult to record or program in a DAW. And if you use effects or sound design in your projects, the Orchestral FX provides a lot of material to work with, again, blending perfectly with the rest of the series. 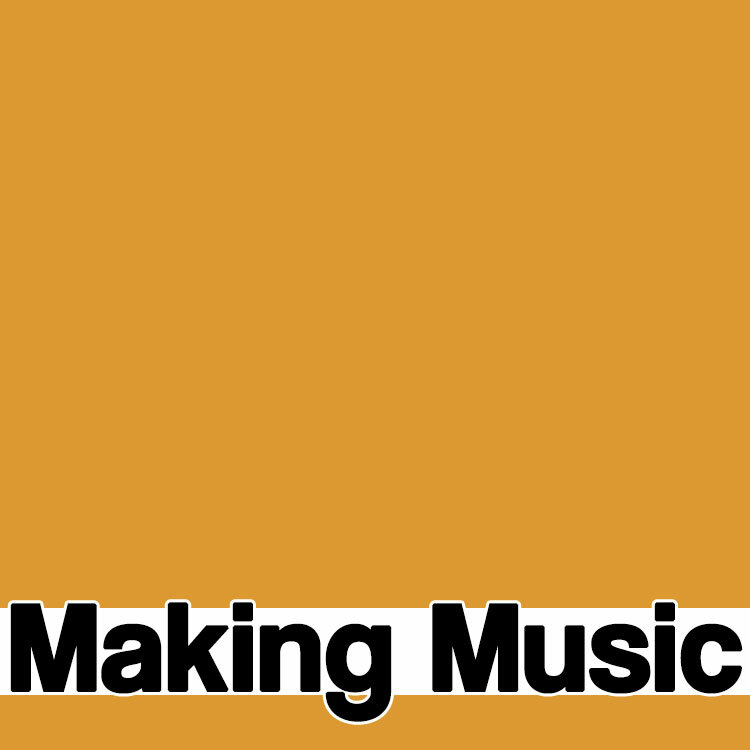 Snaps – heck, it’s fun and it’s free and it has vocals in it. Go get it! 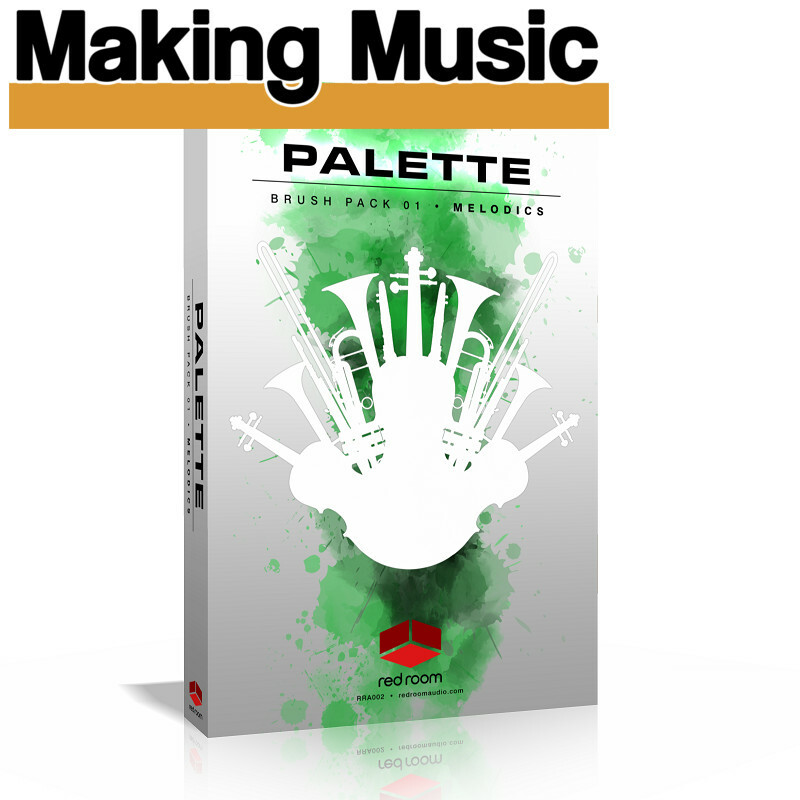 The Palette series so far is a superbly integrated set of orchestral samples. 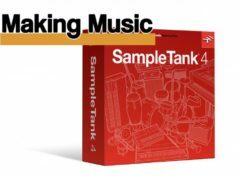 Red Room Audio’s splash into orchestral sample libraries shows it’s a company with strong ideas about what an orchestral library should contain and without doubt it’s off to a very impressive start.